Hello all, my name is Neal Saye. I live in gorgeous and historic Savannah, Georgia. My passion in life is learning about/exploring/playing with the subjects of JOY and HAPPINESS. I’m a recently retired English professor. 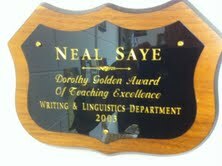 I retired from full-time college teaching in the department of Writing and Linguistics at Georgia Southern University in June 2012 and last year from adjunct status at the Savannah College of Art and Design–ESL/Language Studio. What I’m doing now is trying to discover what makes us joyful, productive, contributing. “Most Approachable Professor” Award and “Funniest Professor” Award from your peers, that’s an impressive endorsement. You have book knowledge, wisdom and a sense of humor, now that’s the best combination of all, I think, when it comes to making people feel good about themselves. Thanks so much! I think there is probably nothing more important than encouraging other people. I love your blog, btw. Thanks for taking the time to write… I appreciate it ! I think your blog’s subject is so refreshing! Thanks for visiting mine and keep in touch. I love feedback, especially from wise people, and you seem to be one. Hey Neal, we never talked about it the other night but do you know Robert Holden, I consider him the Happiness guru from Great Britain. It seems you happiness guys have great senses of humor…….go figure! Anyway, we have read his books and just love him. I also have one of his recent Hay House talks that I’d love to share with you if you’d like. Yes! I love Robert Holden. I have his Happiness Now! book on my desk. And I’m a huge Hay House/Louise Hay fan! I wondered where you went? I’m glad you changed course (no pun intended); it’ll do you good. Have a great 2013!!!! Hey George! All great here. Happy, Happy 2013! Best teacher I ever had (high school and college)! If you’d been my teacher (way back when), my school memories would be memorable. Before my daughter was born (she’s now 16), I worked for Prentice Hall Publishers, High School Division. During my eleven years, I observed many teacher-based focus groups. There were certain teachers who gave valued feedback – I pictured them as I read your About. I am a substitute teacher now. Some days I teach, other days I might be act as a teaching assistant. 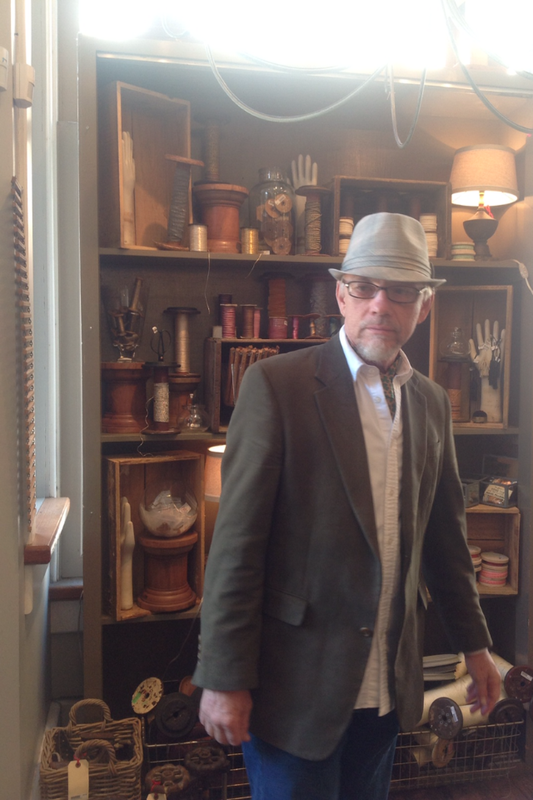 When I wear the assistant hat, I have the privilege of observation. Every so often there is a special teacher, one who teaches, interacts and truly enjoys the job. I think wow, both the instructor and the students are lucky. You had a short stint at Brewton-Parker College in Glennvile in 2006-07. I enjoyed you and your class and still talk about that time. The Kite Runner is still a favorite. Happy retirement or at least semi retirement.